Basically I warmed up on levels 5-9, then at the 10-minute mark I moved to a level 10. At 15 minutes I started the climb–each minute I’d alternate increasing the level by 2, then decreasing by 1, until I reached level 15. At that point, I began the descent–decreasing the level by 2, then increasing by 1 until I reached level 10. 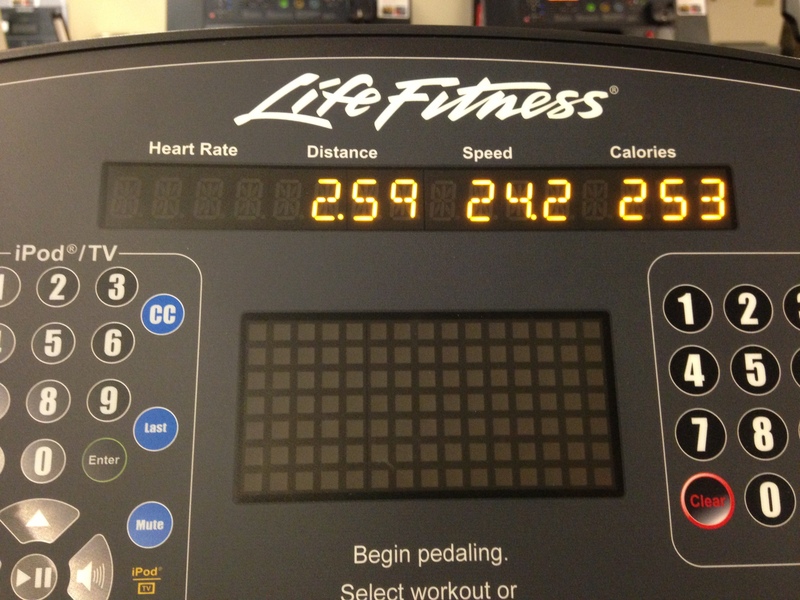 At the 30 minute mark I completed a few intervals–1 minute at level 15 followed by 1 minute at level 10. From 35-40 minutes I decreased the levels to cool down. It was a tough workout, but it kept me engaged and not (as) bored. 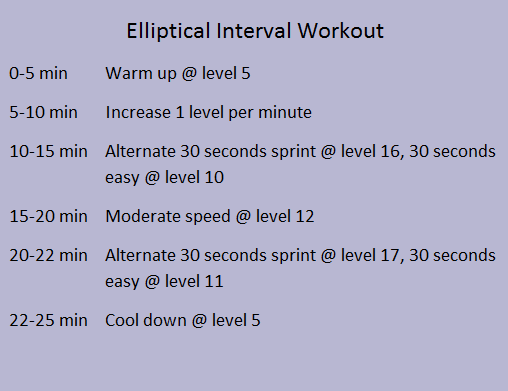 As was the case with this elliptical workout, the levels here are relative; the peak of my climb might be your warm-up level, so make sure to adjust so that the workout is challenging for you! It’s 8:15 p.m., and you’re at home. The gym closes at 9. You’re still planning to honor your commitment to squeeze in a workout before going to bed. By the time you arrive at the gym you will have no more than 25 minutes to workout. What do you do? HIIT is essentially a workout in which you alternate bursts of intense activity with periods of less intense activity. The benefit? Greater fitness in less time. Perfect for such a night as described above. Now, I should note that the levels are all relative. While level 16 for me means I am working nearly as hard as I can and my heart rate is way up, that was Andrew’s warm-up level. He literally weighs 100 lb more that I do, and gravity helps move those pedals! Because it can vary so much person-to-person, focus more on how you feel than the number on the machine. You should be breathing heavily on your sprints and feeling your heart rate come back down on the “easy”s. I have no idea what the 24.2 speed means. I wasn’t going 24.2 anything. 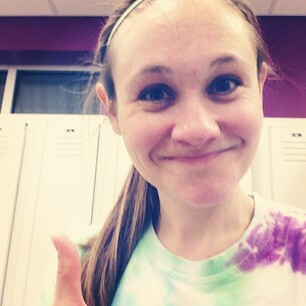 Thumbs up for a good interval workout and a sweaty face. Now, gather your belongings from the locker room, and walk out the door at 8:59 p.m. to avoid receiving the stink eye from any and all gym employees.